All of our newsletters sent out include an unsubscribe link in them. You can remove yourself at any time from our newsletters by clicking on the unsubscribe link. You can also contact us at mail@vitalifi.me to change your information at any time. You should not use the information or services on this Site for diagnosis or treatment of any health issue or for prescription of any medication, drug or other treatment. You should always consult with your Healthcare Professional, and carefully read all information about a product and on or in any product label or packaging, before using any dietary supplement, before starting any diet or exercise program or before adopting any regimen for a health condition. Each person is different, and the way you react to a particular product may be significantly different from the way other people react to such product. You should also consult your Healthcare Professional regarding any interactions between any medication you are currently taking and any dietary supplements. Vitalifi, Inc. customers are encouraged to voluntarily participate in our forums, blogs, or reviews, including descriptions of their experiences with specific products. Any comments made by employees in these forums or in reviewing products are strictly their own personal views made in their personally capacity. These comments are not claims made by Vitalifi, Inc. nor do they represent the view or position of Vitalifi, Inc..
You acknowledge that all materials on the Site, including the Site's design, graphics, text, sounds, pictures, software and other files and the selection and arrangement thereof (collectively, "Materials"), are the property of Vitalifi, Inc. or its licensors, and are subject to and protected by United States and international copyright and other intellectual property laws and rights. All rights to Materials not expressly granted in this Agreement are reserved to their respective copyright owners. Except as expressly authorized by this Agreement or on the Site, you may not copy, reproduce, distribute, republish, download, perform, display, post, transmit, exploit, create derivative works or otherwise use any of the Materials in any form or by any means, without the prior written authorization of Vitalifi, Inc. or the respective copyright owner. Vitalifi, Inc. authorizes you to view and download the Materials only for personal, non-commercial use, provided that you keep intact all copyright and other proprietary notices contained in the original Materials. You may not modify or adapt the Materials in any way or otherwise use them for any public or commercial purposes. The trademarks, service marks, trade names, trade dress and logos (collectively, "Marks") contained or described on this Site (including, without limitation, Vitalifi, Inc., VitaCell+, VitaOmega+ and FloraThrive+ and any Marks associated with any products available on the Site) are the sole property of Vitalifi, Inc. and/or its suppliers or licensors and may not be copied, imitated or otherwise used, in whole or in part, without the prior written authorization of Vitalifi, Inc. and/or its suppliers or licensors. In addition, all page headers, custom graphics, button icons and scripts are Marks of Vitalifi, Inc. and may not be copied, imitated or otherwise used, in whole or in part, without the prior written authorization of Vitalifi, Inc.. Vitalifi, Inc. will enforce its intellectual property rights to the fullest extent of the law. Links on the Site to third party websites are provided only as a convenience to you. If you use these links, you will leave the Site. Vitalifi, Inc. does not control or endorse any such third party websites. You agree that Vitalifi, Inc. Parties will not be responsible or liable for any content, goods or services provided on or through these outside websites or for your use or inability to use such websites. You will use these links at your own risk. Without limiting the foregoing, your correspondence or business dealings with, or participation in promotions of, advertisers found on or through the use of the Site, including payment for and delivery of related goods or services, and any other terms, conditions, warranties or representations associated with such dealings, are solely between you and such advertiser. You agree that Vitalifi, Inc. Parties shall not be responsible or liable for any loss or damage of any sort incurred as the result of any such dealings or as the result of the presence of such advertisers on the Site. YOU EXPRESSLY UNDERSTAND AND AGREE THAT: YOUR USE OF THE SITE IS AT YOUR SOLE RISK. THE SITE AND THE MATERIALS CONTAINED HEREIN ARE PROVIDED ON AN "AS IS" AND "AS AVAILABLE" BASIS. EXCEPT AS OTHERWISE EXPRESSLY PROVIDED IN THIS AGREEMENT, Vitalifi, Inc., LLC, ITS PARENT, SUBSIDIARIES AND OTHER AFFILIATED COMPANIES AND THEIR RESPECTIVE OFFICERS, DIRECTORS, EMPLOYEES AND OTHER REPRESENTATIVES (COLLECTIVELY, "Vitalifi, Inc. PARTIES") EXPRESSLY DISCLAIM ALL WARRANTIES OF ANY KIND, WHETHER EXPRESS OR IMPLIED, INCLUDING, BUT NOT LIMITED TO THE IMPLIED WARRANTIES OF MERCHANTABILITY, FITNESS FOR A PARTICULAR PURPOSE AND NON-INFRINGEMENT. EXCEPT AS OTHERWISE EXPRESSLY PROVIDED IN THIS AGREEMENT, Vitalifi, Inc. PARTIES MAKE NO WARRANTY THAT (I) THE SITE WILL MEET YOUR REQUIREMENTS, (II) THE SITE WILL BE UNINTERRUPTED, TIMELY, SECURE, OR ERROR-FREE, (III) THE RESULTS THAT MAY BE OBTAINED FROM THE USE OF THE SITE WILL BE ACCURATE OR RELIABLE, (IV) THE QUALITY OF ANY PRODUCTS, SERVICES, INFORMATION, OR OTHER MATERIAL OBTAINED BY YOU THROUGH THE SITE WILL MEET YOUR EXPECTATIONS, AND (V) ANY ERRORS IN THE SITE WILL BE CORRECTED. ANY MATERIAL DOWNLOADED OR OTHERWISE OBTAINED THROUGH THE USE OF THE SERVICE IS DONE AT YOUR OWN DISCRETION AND RISK AND YOU WILL BE SOLELY RESPONSIBLE FOR ANY DAMAGE TO YOUR COMPUTER SYSTEM OR LOSS OF DATA THAT RESULTS FROM THE DOWNLOAD OF ANY SUCH MATERIAL. NO ADVICE OR INFORMATION, WHETHER ORAL OR WRITTEN, OBTAINED BY YOU FROM Vitalifi, Inc. PARTIES OR ON OR THROUGH THE SITE SHALL CREATE ANY WARRANTY NOT EXPRESSLY STATED IN THIS AGREEMENT. NONE OF THE PRODUCTS OR SERVICES PURCHASED ON OR THROUGH THE SITE ARE SUBJECT TO ANY APPLICABLE WARRANTIES. TO THE FULLEST EXTENT PERMISSIBLE BY APPLICABLE LAW, Vitalifi, Inc. PARTIES DISCLAIM ALL WARRANTIES OF ANY KIND, EITHER EXPRESS OR IMPLIED, INCLUDING, ANY IMPLIED WARRANTIES, WITH RESPECT TO THE PRODUCTS AND SERVICES LISTED OR PURCHASED ON OR THROUGH THE SITE. 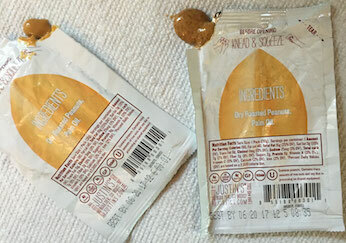 WITHOUT LIMITING THE GENERALITY OF THE FOREGOING, Vitalifi, Inc. PARTIES EXPRESSLY DISCLAIM ALL LIABILITY FOR PRODUCT DEFECT OR FAILURE, CLAIMS THAT ARE DUE TO NORMAL WEAR, PRODUCT MISUSE, ABUSE, PRODUCT MODIFICATION, IMPROPER PRODUCT SELECTION AND NON-COMPLIANCE WITH ANY PRINTED DIRECTIONS. Vitalifi, Inc. PARTIES SHALL NOT UNDER ANY CIRCUMSTANCES BE LIABLE FOR ANY DAMAGES OF ANY KIND ARISING OUT OF, IN CONNECTION WITH OR RELATING TO THE USE OF OR INABILITY TO USE THE SITE, INCLUDING ANY LIABILITY (I) AS A PUBLISHER OF INFORMATION, (II) AS A RESELLER OF ANY PRODUCTS OR SERVICES, (III) FOR ANY DEFECTIVE PRODUCTS, (IV) FOR ANY INCORRECT OR INACCURATE INFORMATION, (V) FOR ANY UNAUTHORIZED ACCESS TO OR DISCLOSURE OF YOUR TRANSMISSIONS OR DATA, (VI) FOR STATEMENTS OR CONDUCT OF ANY THIRD PARTY ON THE SITE, OR (VII) FOR ANY OTHER MATTER RELATING TO THIS SITE OR ANY THIRD PARTY WEBSITE. THIS IS A COMPREHENSIVE LIMITATION OF LIABILITY THAT APPLIES TO ALL DAMAGES OF ANY KIND, INCLUDING ANY DIRECT, INDIRECT, SPECIAL, INCIDENTAL OR CONSEQUENTIAL DAMAGES (INCLUDING DAMAGES FOR LOSS OF BUSINESS, LOSS OF PROFITS, LOSS OF GOOD WILL, LOSS OF USE, LOSS OF DATA, COST OF PROCURING SUBSTITUTE GOODS, SERVICES OR INFORMATION, LITIGATION OR THE LIKE), WHETHER BASED ON BREACH OF CONTRACT, BREACH OF WARRANTY, TORT (INCLUDING NEGLIGENCE), PRODUCT LIABILITY OR OTHERWISE, EVEN IF AN INDIVIDUAL ADVISES OF THE POSSIBILITY OF SUCH DAMAGES. THE LIMITATIONS OF LIABILITY SET FORTH HEREIN ARE FUNDAMENTAL ELEMENTS OF THE BASIS OF THE BARGAIN BETWEEN Vitalifi, Inc. AND YOU. THE PRODUCTS, INFORMATION AND SERVICES OFFERED ON AND THROUGH THE SITE WOULD NOT BE PROVIDED WITHOUT SUCH LIMITATIONS. NOTWITHSTANDING THE FOREGOING, THE SOLE AND ENTIRE MAXIMUM LIABILITY OF Vitalifi, Inc. PARTIES FOR ANY REASON, AND YOUR SOLE AND EXCLUSIVE REMEDY FOR ANY CAUSE OR CLAIM WHATSOEVER, SHALL BE LIMITED TO THE AMOUNT PAID BY YOU FOR ANY PRODUCT, INFORMATION OR SERVICE PURCHASED BY YOU FROM Vitalifi, Inc. ON THIS SITE. You agree to indemnify, defend and hold harmless Vitalifi, Inc. Parties against all claims, demands, causes of action, losses, expenses, damages and costs, including any reasonable attorneys' fees, resulting or arising from or relating to your use of or conduct on the Site, any activity related to your account by you or any other person, any material that you submit to, post on or transmit through the Site, your breach of this Agreement, your infringement or violation of any rights of another, or termination of your access to the Site. You are required to establish an account on this Site in order to take advantage of certain features of this Site, such as making a purchase. If you provide information on this Site, you agree to (a) provide true, accurate, current and complete information about yourself as prompted by the Site, and (b) maintain and promptly update such information to keep it true, accurate, current and complete to the extent the Site facilitates such updates. If you provide any information that is false, inaccurate, outdated or incomplete, or Vitalifi, Inc. has reasonable grounds to suspect that such information is false, inaccurate, outdated or incomplete, Vitalifi, Inc. has the right to suspend or terminate your account and prohibit any and all current or future use of the Site (or any portion thereof) by you. You will create a username and password while completing the account registration process. You are responsible for maintaining the confidentiality of the password and account, and are fully responsible for all activities that occur under your password or account. You agree to (a) immediately notify Vitalifi, Inc. of any unauthorized use of your password or account or any other breach of security, and (b) ensure that you exit from your account at the end of each session. You agree to be responsible for all charges resulting from the use of your account on the Site, including charges resulting from unauthorized use of your account prior to your taking steps to prevent such occurrence by changing your password and notifying Vitalifi, Inc.. Vitalifi, Inc. Parties cannot and will not be liable for any loss or damage arising from your failure to comply with this section. You further agree that you will not access this Site by any means except through the interface provided by Vitalifi, Inc. for access to the Site. Creating or maintaining any link from another website to any page on this Site without the prior written authorization of Vitalifi, Inc. is prohibited. Running or displaying this Site or any information or material displayed on this Site in frames or through similar means on another website without the prior written authorization of Vitalifi, Inc. is prohibited. Any permitted links to this Site must comply with all applicable laws, rule and regulations. Vitalifi, Inc. makes no representation that Materials contained on the Site or products described or offered on the Site are appropriate or available for use in jurisdictions outside the United States, or that this Agreement complies with the laws of any other country. Visitors who use the Site and reside outside the United States do so on their own initiative and are responsible for compliance with all laws, if and to the extent local laws are applicable. You agree that you will not access this Site from any territory where its contents are illegal, and that you, and not Vitalifi, Inc. Parties, are responsible for compliance with applicable local laws. You agree that Vitalifi, Inc. may terminate or suspend your access to all or part of this Site, without notice, for any conduct that Vitalifi, Inc., in its sole discretion, believes is in violation of this Agreement or any applicable law or is harmful to the interests of another user or Vitalifi, Inc. Parties. You understand that all User Content, whether you have publicly posted on a forum or privately transmitted to another Site user or to us, is your sole responsibility. Though the Site is designed to be a safe place to share such User Content, Vitalifi, Inc. cannot guarantee that other users will not misuse the User Content that you share. If you have any User Content that you would like to keep confidential and/or do not want others to use, do not post it to the Site. Under no circumstances will Vitalifi, Inc. be liable in any way for any User Content, including, but not limited to, any errors or omissions in any User Content, or for any loss or damage of any kind incurred as a result of the use of any User Content posted, emailed or otherwise transmitted via the Site. Vitalifi, Inc. IS NOT RESPONSIBLE FOR A USER'S MISUSE OR MISAPPROPRIATION OF ANY USER CONTENT YOU POST TO THE SITE. By posting any User Content at the Site, you hereby grant Vitalifi, Inc. a royalty-free, fully paid up, perpetual, irrevocable, non-exclusive and fully sub-licensable right and license to use, reproduce, modify, adapt, publish, translate, combine with other works, create derivative works from, distribute, perform, edit and display such User Content (in whole or part) worldwide and/or to incorporate it in other works in any form, media, or technology now known or later developed. You specifically waive any "moral rights" in and to the User Content. The foregoing grant includes, without limitation, any copyrights and other intellectual property rights in and to your User Content. You represent and warrant that: you own the User Content posted by you on or through the Site or otherwise have the right to grant the license set forth in this Section X; and the posting of your User Content on or through the Site does not violate the privacy rights, publicity rights, copyrights, contract rights or any other rights of any person. You agree to pay for all royalties, fees, and any other monies owing any person by reason of any User Content you posted to or through the Site. You acknowledge and agree that Vitalifi, Inc. may preserve User Content and may also disclose User Content if required to do so by law or in the good faith belief that such preservation or disclosure is reasonably necessary to: comply with legal process; enforce this Agreement; respond to claims that any User Content violates the rights of third-parties; or protect the rights, property, or personal safety of Vitalifi, Inc., its users and the public. You understand that the technical processing and transmission of the Site, including your User Content, may involve: transmissions over various networks; and changes to conform and adapt to technical requirements of connecting networks or devices. You understand that by using the Site, you may be exposed to User Content created by others that is offensive, indecent or objectionable. Vitalifi, Inc. does not endorse or have control over the User Content. User Content is not reviewed by Vitalifi, Inc. prior to posting and does not reflect the opinions or policies of Vitalifi, Inc.. Vitalifi, Inc. makes no representations or warranties, express or implied as to the User Content or the accuracy and reliability of the User Content or any other material or information that you may access through the Site. Vitalifi, Inc. assumes no responsibility for monitoring the Site for inappropriate submissions or conduct. If at any time Vitalifi, Inc. chooses, in its sole discretion, to monitor the Site, Vitalifi, Inc. nonetheless assumes no responsibility for the User Content, has no obligation to modify or remove any inappropriate User Content, and has no responsibility for the conduct of the Site users submitting any such User Content. Notwithstanding the foregoing, Vitalifi, Inc. and its designees shall have the right to remove any User Content that violates this Agreement or is otherwise objectionable, in Vitalifi, Inc.'s sole discretion. You agree that you must evaluate, and bear all risks associated with, the use of any User Content, including any reliance on the accuracy, completeness, or usefulness of such User Content. In this regard, you acknowledge that you may not rely on any User Content. You are solely responsible for your interaction. You are solely responsible for your interactions with other Site users. Vitalifi, Inc. reserves the right, but has no obligation, to monitor disputes between you and other Site users and to terminate your Site access, in its sole discretion. TO THE EXTENT PERMITTED BY APPLICABLE LAW, YOU AND Vitalifi, Inc. HEREBY WAIVE THE RIGHT TO A TRIAL BY JURY IN ANY PROCEEDING OR LITIGATION BROUGHT AGAINST THE OTHER WITH RESPECT TO THIS AGREEMENT OR THE SITE. IN ADDITION, NEITHER YOU NOR Vitalifi, Inc. SHALL BE ENTITLED TO JOIN OR CONSOLIDATE CLAIMS BY OR AGAINST OTHER SITE USERS, OR LITIGATE ANY CLAIM AS A REPRESENTATIVE OR CLASS ACTION OR IN A PRIVATE ATTORNEY GENERAL CAPACITY. This Agreement constitutes the entire and only Agreement between Vitalifi, Inc. and each user of this Site with respect to the subject matter of this Agreement and supersedes any and all prior or contemporaneous Agreements, representations, warranties and understandings, written or oral, with respect to the subject matter of this Agreement. The failure of Vitalifi, Inc. Parties to insist upon strict adherence to any term of this Agreement shall not constitute a waiver of such term and shall not be considered a waiver or limit that party's right thereafter to insist upon strict adherence to that term or any other term of this Agreement. You agree that regardless of any statute or law to the contrary, any claim of cause of action arising from or relating to use of this Site or this Agreement must be filed within one (1) year after such claim or cause of action arose, or will be forever barred. The "Disclaimer; Limitation of Liability" provisions of this Agreement are for the benefit of Vitalifi, Inc. Parties as defined herein, and each of these individuals or entities shall have the right to assert and enforce these provisions directly against you on its own behalf. 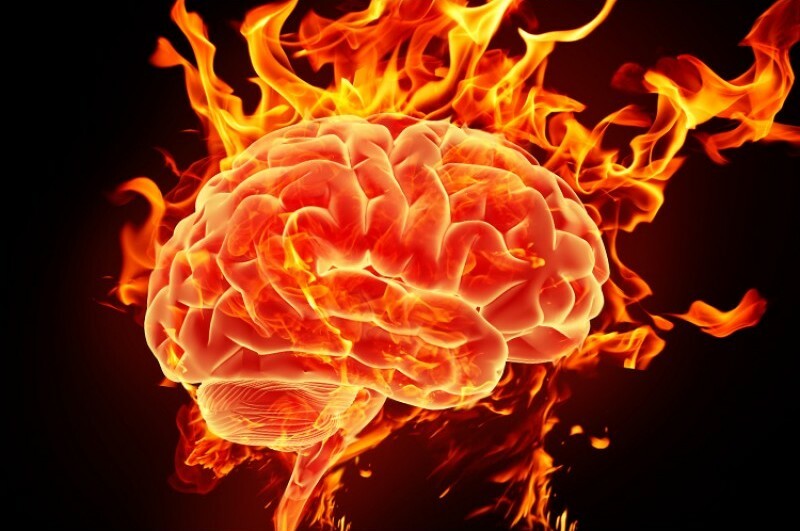 Setting Your Brain On Fire?" Aches and pains that won’t go away, no matter what. If any of these symptoms describe you, then there’s an extremely high chance that your brain has been literally set on fire by a host of toxins in our food and water supply. 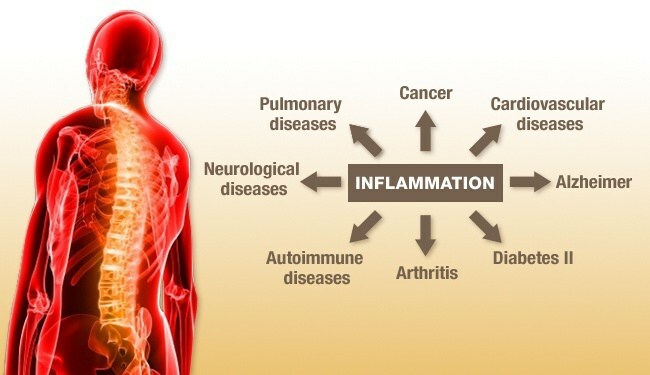 Greedy corporations have unleashed a deadly new epidemic: chronic inflammation. These are the conditions of chronic inflammation in your body and your brain. Conditions caused by the big conglomerates’ latest efforts to cut costs - and corners - passing the “price” on to us in the form of rampant inflammation in your brain, causing you to feel tired, fatigued and unmotivated1…. Government agencies have ruled that manufacturers can use various “code names,” instead of actually having to call these arsonist-toxins by their real name. So even if the average consumer finds out about this insidious new health threat, he or she won’t even be able to spot it on the label. So today, I want to show you…. And the steps you need to take to quickly restore your natural energy, and recover from the effects these chemicals have had on your body. But it’s about time someone pulled back the curtain. That's why I've spent a considerable amount of time and my own money over the last few months creating this website, that they do not want you to see. So if you're serious about the health of your family, take a seat, and make sure you read every word of this special report. What you are about to see and hear may shock you. But it may also save your life.